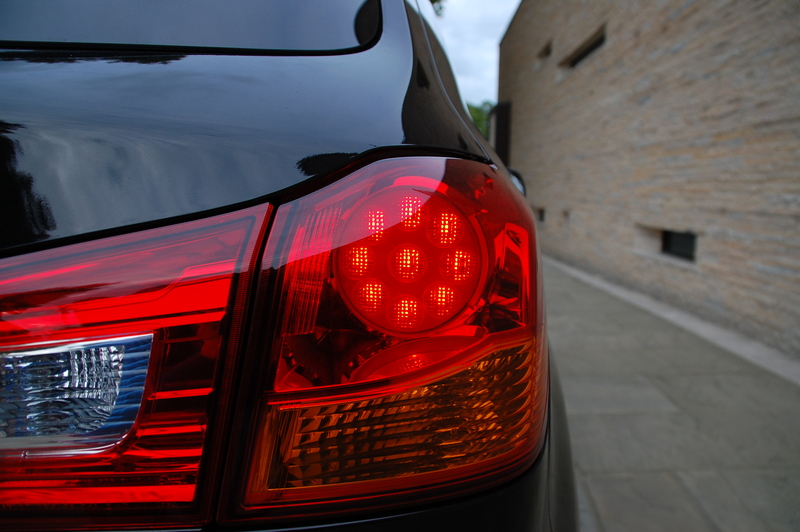 Think ‘Mitsubishi’ and what comes to mind? Chances are if you’re not deeply into cars it’s a brand you’ll associate with rough and tough Shoguns, chunky L200 pickups or manic, rorty, rally-derived sporting saloons from one of the ten generations of Evo. 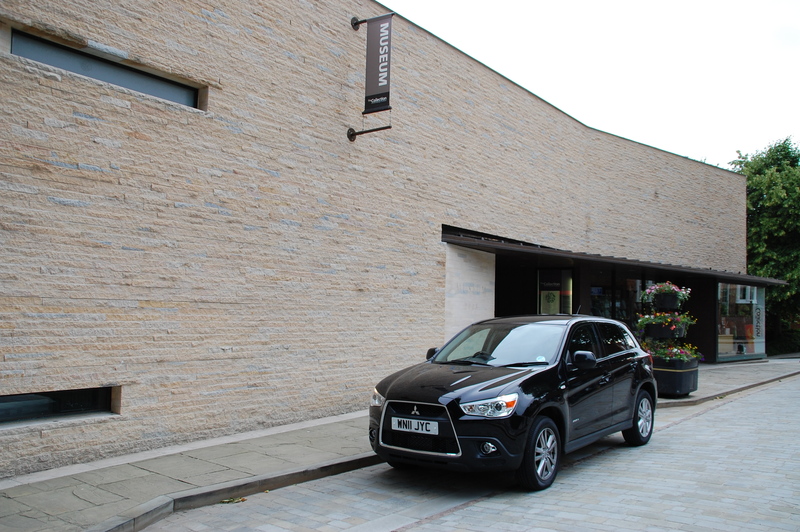 Mitsubishi hasn’t managed to connect its entire range with British buyers’ psyche – exacerbated years ago by import restrictions on Japanese-built cars. Unlike its larger rivals, Mitsubishi chose not to establish a European production base, and unlike Mazda had no halo model to attract buyers into showrooms. Mitsubishi’s bread and butter models were notable for their anonymity. But lately, things are changing. Mitsubishi is pushing itself forward both in terms of propulsion developments but also through its brand identity. Like many companies, the Japanese firm has chosen a bold corporate grille for many of its models, based on the aggressive, gaping snout of the Evolution X – it might look a touch heavy handed on the diminutive Colt but on the chunky and tough ASX it fits perfectly. The ASX? 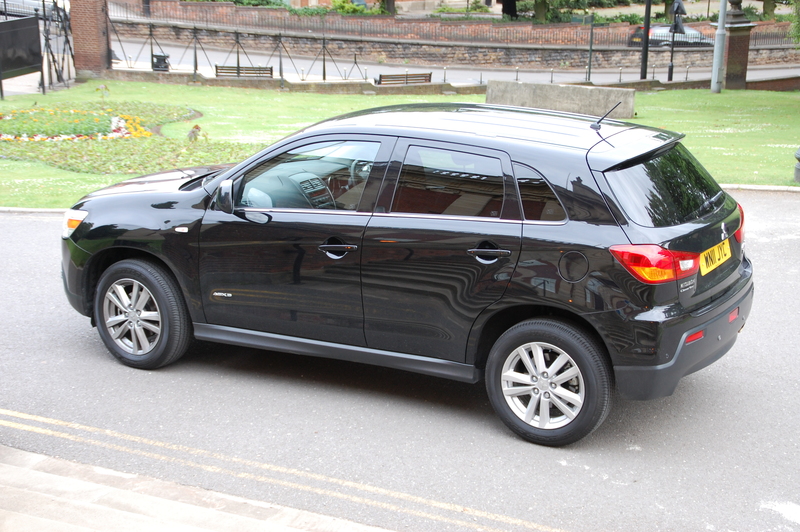 Yes, on sale for a year in the UK, the ASX (rather forcibly standing for Active Sports Crossover) is Mitsubishi’s entrant in that competitive market sector that embraces mid-sized MPVs (such as Ford’s C-MAX) and mid-sized crossovers/SUVs/soft-roaders (such as the blue oval’s Kuga). The X, sorry, Crossover part of the name confirms the pseudo all-terrain appearance but it’s not overly done. Deft touches such as a high rise body, chunky panel work and a liberal splashing of unpainted plastics give the right impression without hinting that it’d want to tackle Mount Snowdon before breakfast. 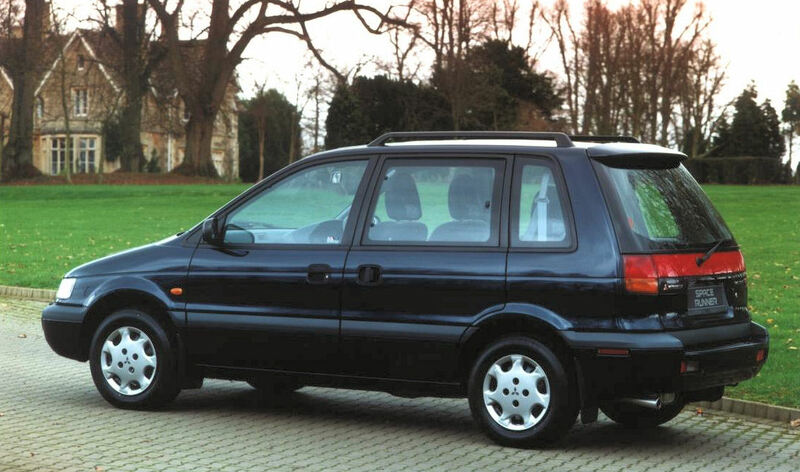 Mitsubishi has occupied this sector before – in fact, while Renault popularised this class of car with its once ubiquitous Scénic, its UK presence was predated by five and a half years by Mitsubishi’s Space Runner. Okay, it was an oddball choice but it was there. Essentially a shortened version of the seven-seat Space Wagon, the Runner was probably best remembered for having a single door to enter the rear quarters – a sliding one on the nearside. Before you fear I’ve gone off on another historical ramble, you need to know the Space Runner was sold in Japan as the first generation RVR – the ASX is the latest in the RVR lineage back home. The UK ASX model mix is refreshingly simple, although possibly a touch restrictive for some buyers. 1.6 petrol and 1.8 common rail turbo diesels are paired with manual gearboxes, with five or six speeds respectively. A CVT automatic box is sold in some territories but British sales aren’t currently at a level to warrant offering it here. 4WD is available on diesel versions at a £2100 premium, should you require drive being directed to the rear wheels as well as those up front. 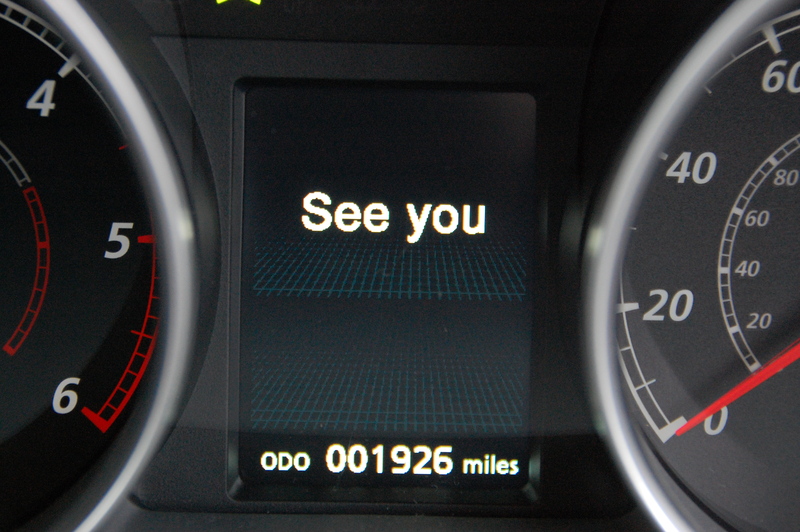 Trim levels are spread across a tri-level hierarchy, each with a simple numeric identifier, rather than a combination of letters or twee names. Cleverly, it starts at ASX 2, through 3 and up to 4, all versions being very comprehensively equipped. The lack of an ASX 1 means nobody has to feel they’re buying a base model. The model I sampled was a mid-spec 1.8 front wheel drive diesel ‘3’ – possibly the pick of the range and offering great value. Opening the doors, grabbing the chunky handles to do so, reveals a spacious, but slightly dark cabin, lifted by a few carefully chosen and located metallic look accents. There’s a pleasing absence of swathes of alu-look plastic panelling or pretend timber too, just various textures of plastic mouldings, all of which have a substantial, embedded quality feel. Some surfaces are the in vogue soft-touch variety but even the harder plastics, such as those that form the door cards, are solid and robust. It feels like it will last the test of time from all manner of life tests many families will throw at it. The panels feel tightly screwed together and neatly aligned. A mild criticism is that it is a little dark inside – a glass roof, fashionable with many rivals, would help considerably. 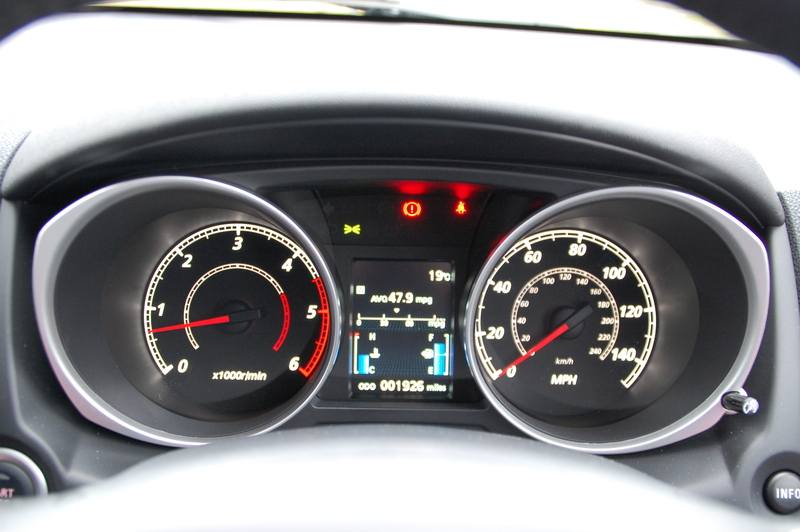 The dashboard itself is pleasantly shaped and interesting, without looking disjointed or ‘try-hard’. Everywhere your hands go they are met with solid, easy to reach switchgear that works precisely in a well damped fashion. Instrument dials apart, the backlighting is orangey-red with LED downlighters onto the centre console reminiscent of BMW interiors. Those twin instruments, deeply nestled within silvered circles shine brightly techno-white, with a smartphone-like information panel for fuel level, engine temperature and the multi-function trip computer. It feels current and on the pace but won’t frighten off technophobes. 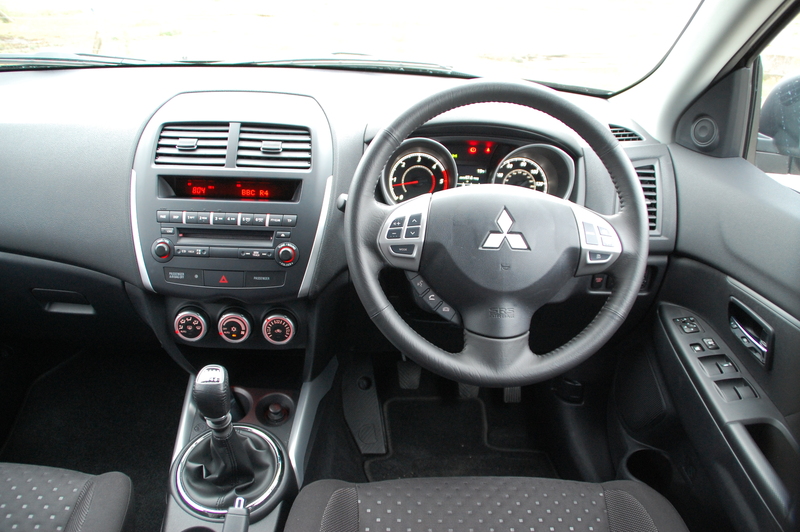 The leather-clad steering wheel is satisfyingly chunky, filling curled fingers precisely and is good to the touch too. Controls for stereo, cruise control and Bluetooth phone controls surround the airbag, with a proud and large three diamond logo in its centre. Door pockets are shaped to take bottles as well as the usual car interior detritus and are complemented by a deep centre console under a hinged armrest , a decently sized glovebox by today’s standards and console mounted cup holders. The ASX is a safe place in which to travel too – a well designed crash structure, with soft panels and plastic wings at the front for improved pedestrian safety, ensured the coveted five stars of Euro NCAP were achieved. Seats up front are very spacious and comfortable with no suggestion that they might induce fatigue or discomfort on longer journeys. You wouldn’t describe them as figure-hugging but they’re supportive, comfortable and heated too. The seat material is a quality charcoal cloth with grid-shaped scallops to break the potential monotony of the fabric. 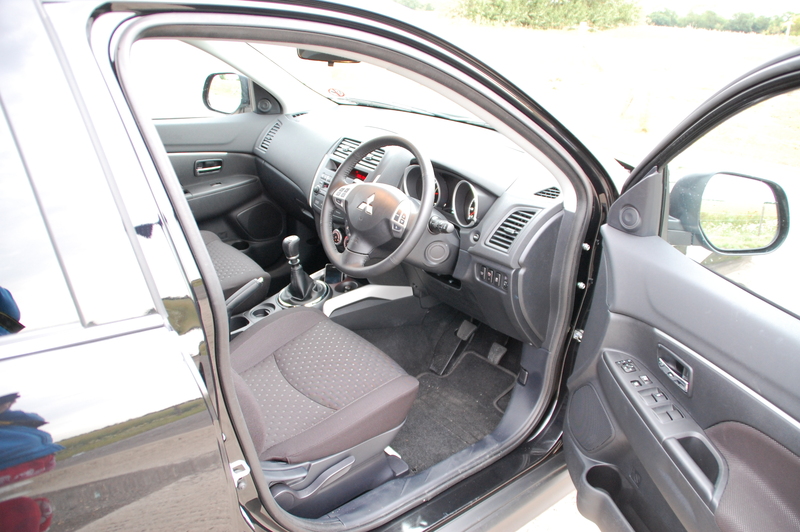 That centre armrest, whilst welcome, is sited a little too rearwards to be usefully comfortable and when in a higher seating position, taller drivers have to lower their eyelines to fully see the top row of dashboard warning lights. 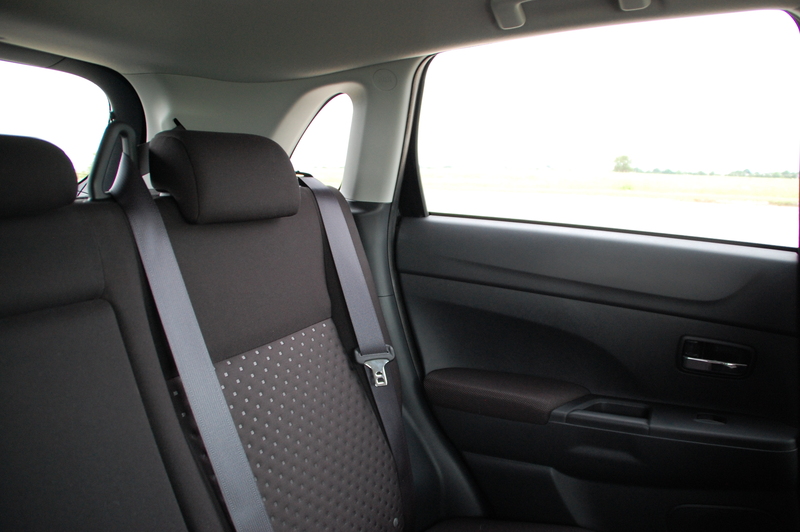 The rear seat can fit three adults in reasonable comfort, each with a headrest and three-point belt as per today’s norm. The outer pair have ISOFIX child seat fixings too. It’s unsurprisingly dark back here with small third side windows, chunky pillars, a high waste line and privacy glass but the physical space ensures it doesn’t feel remotely claustrophobic. 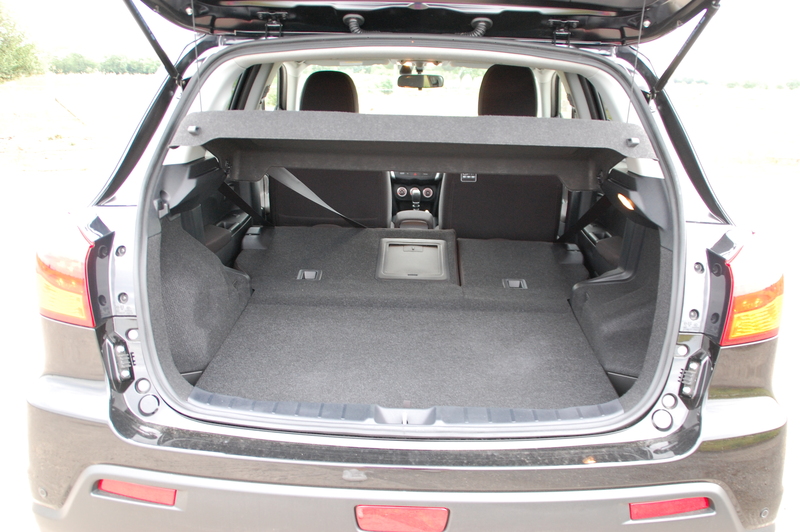 The SUV looks, with raised ground clearance, results in a high sill and floor for the boot, but the space within is flat and well shaped, with a lift up tray to reveal extra cubby space and a puncture repair kit rather than a spare wheel. Seatbacks, split in a 60:40 configuration, are easily folded to produce an unobstructed load bay and return in place with a reassuringly solid clunk. The boot is a good size for what remains essentially a mid-sized car at 442l, extending to 1193l with the rear bench tumbled. Despite being a mid-spec model, the ‘3’ is very generously equipped for the money: four electric windows, powered and folding mirrors, keyless go, climate control, rear parking sensors, privacy glass and a powerful radio/CD/MP3/iPod in-car entertainment are in addition to features mentioned already. At a time when some competitors are sticking with torsion beam rear axles, Mitsubishi’s continued along the more sophisticated path of a fully independent setup, with MacPherson struts up front and multi-links at the rear, a system that allows for a relatively easy change for 4WD versions. Ride quality is generally composed at urban speeds – some extra damping wouldn’t go amiss but by no means is it jiffly or unsettled. At higher and cruising speeds, the ASX feels very secure and grounded, not remotely susceptible to crosswinds. There’s no float to the ride and body composure remains intact. In fact, the ASX is an accomplished, comfortable cruiser. The proposition of a 1.8 diesel powering your daily drive might not set pulses racing. Okay, it’s not a rally bred, high revving rasper but it is a thoroughly refined, modern common rail unit that aurally delights. It feels brisk up to 2000rpm when the turbo kicks in – an amusingly, engaging whistle accompanies a torque surge, propelling you on at a surprising pace and in a way that encourages you to press on. The nannying ‘shift up’ indicator on the dash is at odds with this more enthusiastic side of the ASX’s character though. Power is a very healthy 147bhp, that fun torque boost peaking at 221lbs/ft. At speed, that grunt allows the revs to settle providing a serene experience when pressing on. ASX’s six-speed manual gearbox is a positive function to control, with a reasonably short throw action, and a well damped, precise and slick motion between the ratios. The gears themselves are well spaced allowing you to maximise performance or economy at will. Not that the two aren’t happy bedfellows in this crossover, of course. With a maximum top speed of 124mph on your private test track and a 0-60 sprint of 9.7 seconds, the front wheel drive diesel models are the fastest of the range. For such a rugged, chunky looking car, fuel economy is impressive, as is the drag coefficient of just Cd0.32. A claimed average of 51.4mpg is easily believable. A gentle 40mph trundle through Lincoln provided a mightily impressive 69.7mpg (not aided by the wearing of helium-filled shoes, I hasten to add), while snarling, stop-start urban journeys achieve an equally eye opening return in the high 40s. This is in no small part due to the Automatic Stop & Go function (or AS&G in Mitsubishian). Using it becomes immediately second nature, partly influenced by the newly found thrill of seeing the average MPG display rise as you sit doing nothing. After the engine’s been running for a while and is up to optimum temperature, the system becomes active: approach a traffic situation that necessitates a stop, and when halted put the gear lever into neutral and take your foot off the clutch. A green AS&G message appears on the dash and the engine cuts out – to restart, simply depress the clutch ready to engage first and it fires back into life in a barely perceptible manner. Years ago, Japanese marques tended to be considered over-light and desensitised in their controls. Such days are gone for such sweeping statements, especially as in this global village of a car market, tastes and preferences seemingly converge with every new generation of model. That said, you’d be forgiven for thinking that on looks and stance alone the ASX would not be an especially wieldy or fun B-road companion. However, it’s surprisingly good. The steering is communicative – not in the style of a sports saloon but in a manner which is positive, responsive and grippy as you change direction. The steering action itself is direct too, but like most FWD machinery it will err towards understeer the more the limit of tyre adhesion is approached. You’d have to be going some in the ASX to reach this breakaway point though, the Dunlop shod 17 inchers grip with aplomb. It’s an entertaining drive in its own way – maybe because you don’t expect it to be, but that shove of go when you want it, and a secure and capable chassis offer rewards to the driver. If you’re migrating to one of these soft-roaders from a conventional mid-sized hatchback, you won’t be faced with a precarious, top-heavy sensation behind the wheel like early adopters of 80s MPVs were. 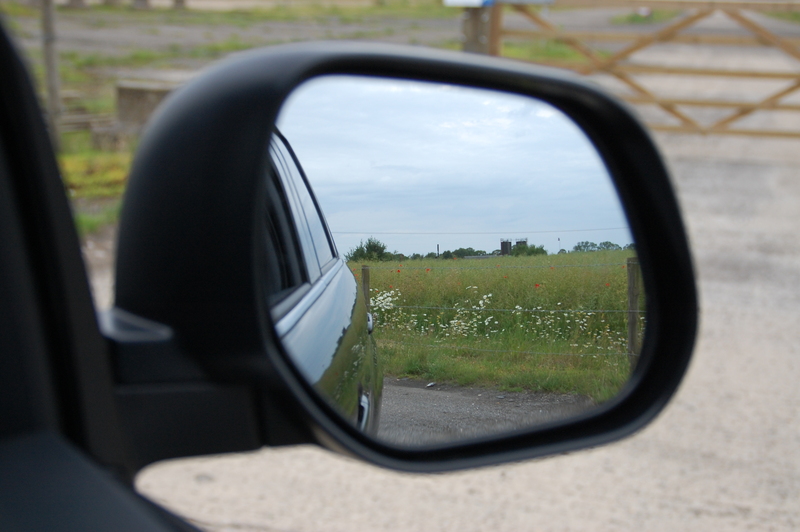 But you do still get the advantages of a higher driving position and big SUV-like mirrors, making you much more spatially aware and able to respond to changeable situations. Mid-sized MPVs have grown massively in popularity since Renault marketed its Scénic range from the late 90s, with most mainstream brands now offering a viable competitor for your cash. Nissan shook things up considerably when its Qashqai debuted in 2007 – offering no more space but eschewing MPV looks for more of an SUV theme. And whilst the ASX competes with pretty much everything in this sector, it’s the Nissan that most people will cross shop it against. Both are well equipped, well built, spacious, versatile and good value. Like many such decisions, it would rightly come down to personal preference. For me, I expected to like the ASX, but I was surprised by how much I really liked it. Would I buy one if looking for a car in this class? Yes, it would definitely be on my shopping list – and for me, the clincher would be they’re a less common sight than Qashqais are, making it feel a bit more special. Saying that, I certainly wouldn’t mind seeing more ASXes on the road and I’m sure Mitsubishi wouldn’t be against that notion either. 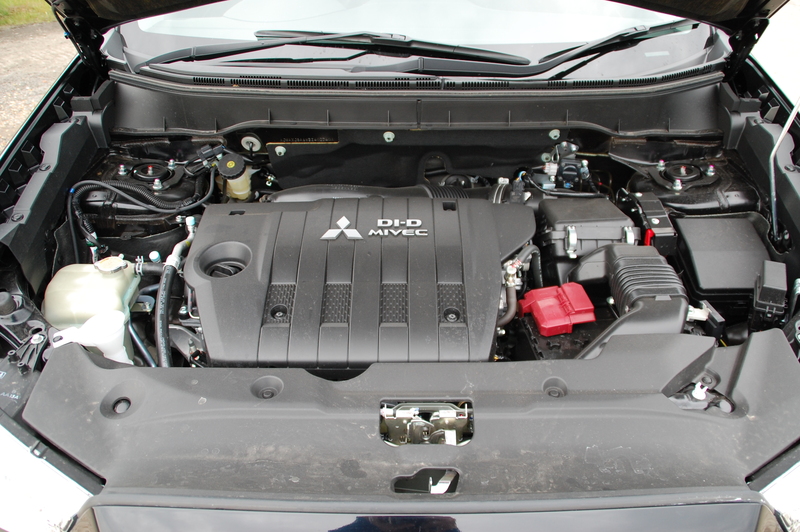 Many thanks to Mitsubishi Motors PR Department for their excellent service and loan of the ASX.